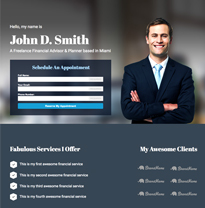 Start creating, building and publishing landing pages in minutes with the best landing page designs. 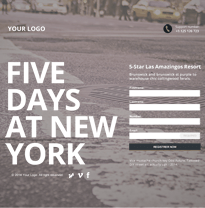 We offer beautiful and fully customisable top landing page designs for hospitality websites. 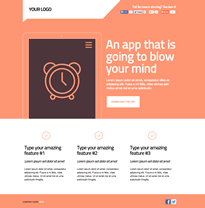 These amazing landing pages will leave you astonished. 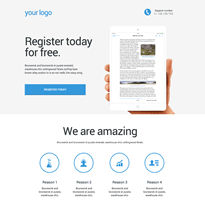 We offer top landing page designs customisable to hospitality website help you create an effective landing page. Go ahead use this page. Make your own magic. 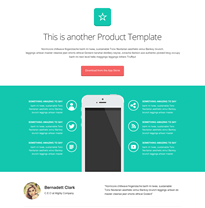 Check out our 'callback' landing page template on LanderApp. 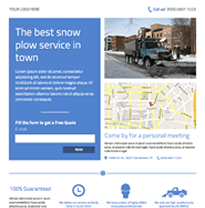 Use our callback landing page template with responsive design and conversion-oriented tools. 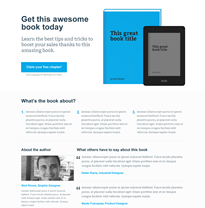 Looking for a sales page to assist people through ? 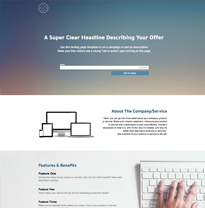 Grow your list and start making sales on autopilot by using this sales landing page templates and increase your conversion rates. 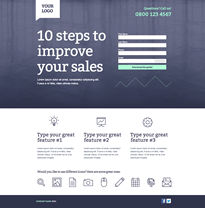 Play with our sales landing page design templates which look great, are easy to use, and ensure conversions, irrespective of your industry. 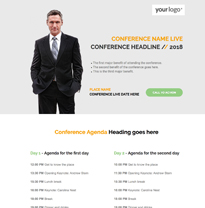 This wireframe webinar landing page template is a clean and simple design with bright CTA buttons to convert your visitors into attendees for your next presentation. 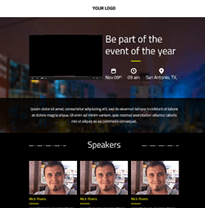 Hosting an event or conference? 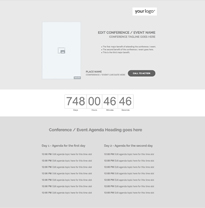 Our perfectly designed web conference landing page templates help turn page visitors into interested attendees. 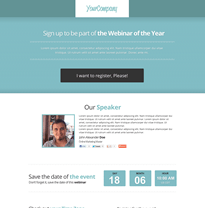 We built this webinar detail landing page template to ensure registrations for your webinar's success.The mega feature of this webinar landing page template is a multiple timezone sign up along with a count down timer. Show off your best self! 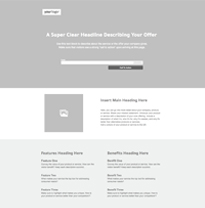 Make an immediate impact.This is a fantastic personal website wireframe to touch up your consulting page with how awesome you are. 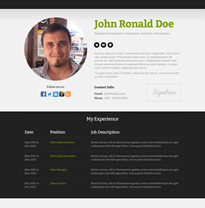 This personal skill landing page template is designed for professionals.Use this bio page template, that makes you stand out in every way. 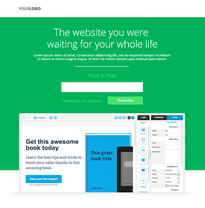 It improve your conversion rates. 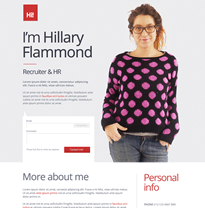 Searching for a template to share your work experience? 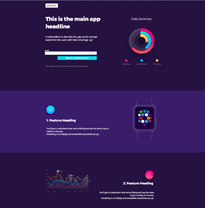 this template works wonders for you.This personal landing page template is easy-to-use and is built to be a best fit for professionals. 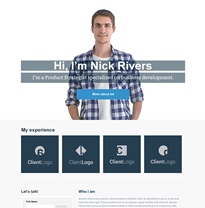 Doesn't it make sense to create a personal portfolio landing page template for your design site? 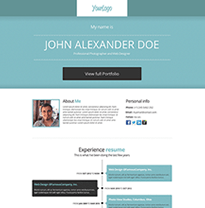 Show off your portfolio with a quick landing page, resume and a link to your extended portfolio. Who you are and What are you looking for? 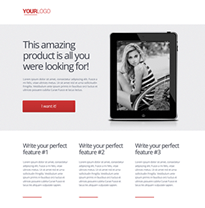 Let this landing page template define more about you. 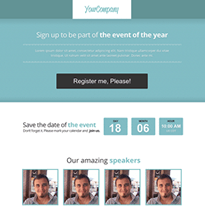 Include a full size picture of you in the template for a fantastic impact! 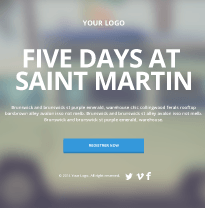 Bright & Colorful fonts with conversion focused designs always gets the job done! 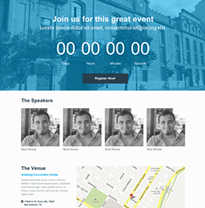 You are looking out for a template that is easily customisable and will increase your click through rate.This is a high-converting click through landing page template, brought to you by LanderApp. 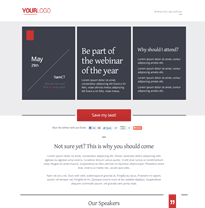 Perfect your offer pitch with this minimal design template. 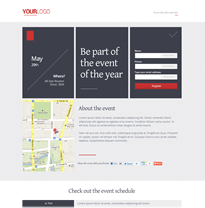 It features a high contrast design developed to get visitors excited about the prospect of a great deal. 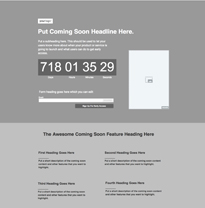 We beleive that 'Coming soon' image pages don't have to be boring! 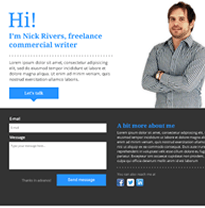 This landing page template can fetch you leads while you build your webpage. 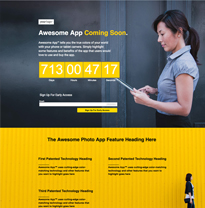 Ever come accross a coming soon page template for website that also introduces your new mobile app? 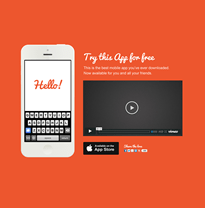 This one features graphical links to the iOS, Android and Windows app stores, an iPhone frame. Go ahead a few screenshots ! 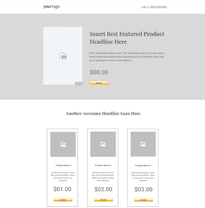 Replete with PayPal "Buy Now" buttons and a daily deal/newsletter sign up, this ecommerce website page is a two conversion point landing page template that will either net you a sale or a sign up for newsletter. Not surprisingly, not all ecommerce businesses are exclusively online. 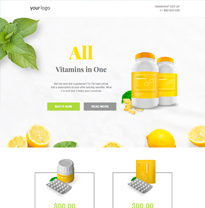 We built this ecommerce website designed to offer online purchasing options and leting users know where your products can be found locally. 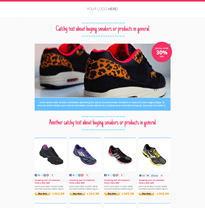 When you are offering a promotion for any ecommerce product,pages need to be built to show off the marketing promotion. This template has a 'built in' special offer callout and 'buy now' buttons. 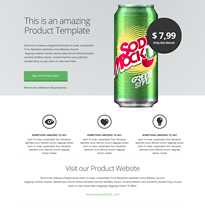 This ecommerce landing page template is designed to drive sales for your products. 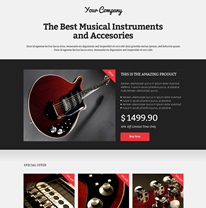 Use it either as a category page or as a purchase page. 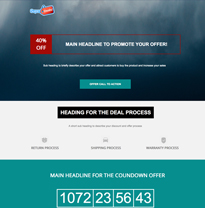 This ecommerce website template is the perfect end for your ecommerce sales funnel. 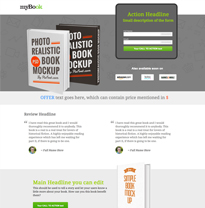 Features include space for testimonials, subscribers, purchasing options and more. 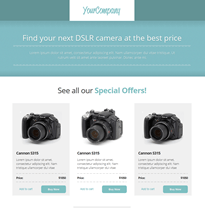 This Ecommerce Product Landing Page template is designed to showcase multiple product offering & gives your visitor an option to sign up for deals. 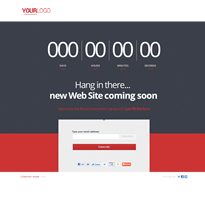 If you can't win their business now, why not try again later? 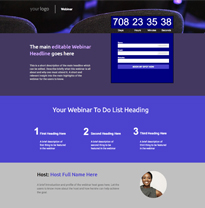 Deep hues of purple and violet makes this landing page design be noticed easily. 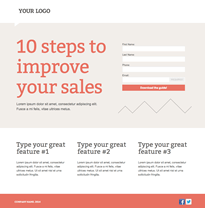 A single field on your form to collect emails is already a great idea! 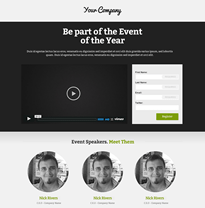 A landing page template with main focus on your call to action only gets better! 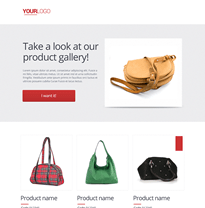 This lead colection page tenplate has only 1 field to collect emails and 3 sections to enliven your visitor's experience. 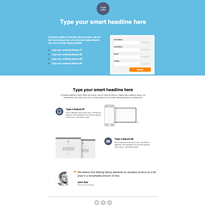 Headline with form makes this a single page webpage template guaranteed to convert users. 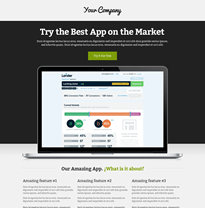 This service detail landing page is perfect for email marketing signups. 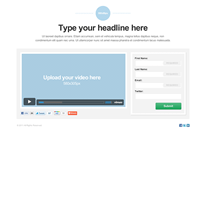 It has social share widgets to make your marketing campaign go viral. 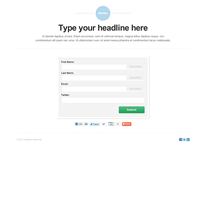 You have an email campaign and want the users to take an action , say fill a form? 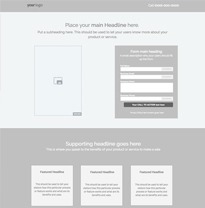 This layout template page features a multiple input lead form placed front and center. 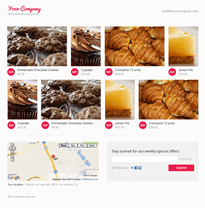 Add sections to customize to your needs. 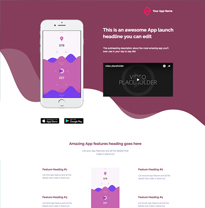 We present to you a different take on a mobile app website layout. 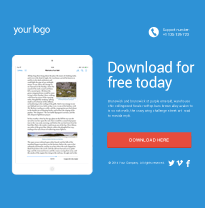 Become #1 in your mobile app download ecosystem! 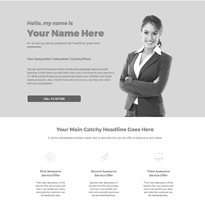 This webpage layout landing page template is perfect for any type of lead form marketing campaign. 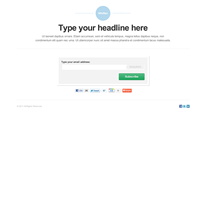 We are featuring a place to edit headline, form and features. 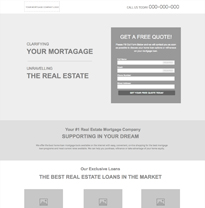 This complete real estate website landing page template has every concievable element to make a house sell. 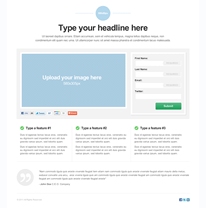 Edit call-to-action section and get home buyer leads in your pipeline. 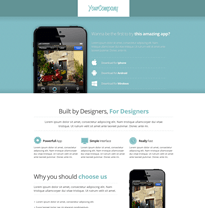 This real estate marketing template makes your work easy. 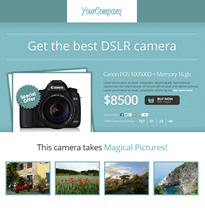 It is designed to convince visitors to purchase or rent a home. 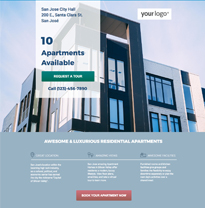 A potential buyer might be interested in the included transit, shopping and a community center details. 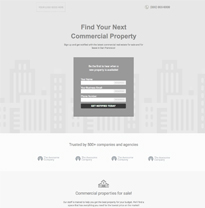 This commercial real estate landing page template is conversion focused with a form that's front and center. 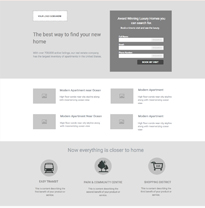 Sections include trust builders, places to show other properties and testimonials. Renting a space has never been this easy. 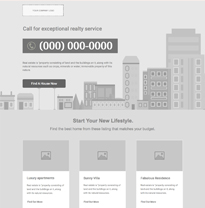 This real estate advertising template is perfect for a real estate advertising marketer. 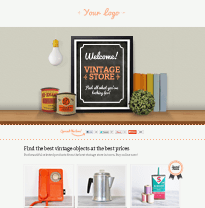 The color palette is bright, yet not distracting.